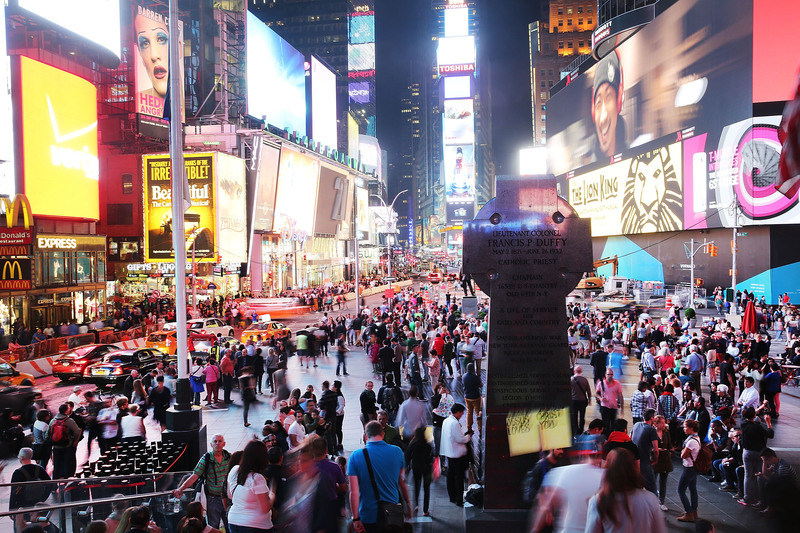 We are aware of the newly-released ISIS video that mentions Times Square. While some of the video footage is not new, the video reaffirms the message that New York City remains a top terrorist target. While there is no current or specific to the City at this time, we will remain at a heightened state of vigilance and will continue to work with the FBI, the Joint Terrorism Task Force and the entire intelligence community to keep the City of New York safe. In addition, we are continuing to deploy additional Critical Resource Command (CRC) teams throughout the City, out of an abundance of caution. The video in question first shows French President Francois Hollande speaking about the Paris attacks, then cuts to remarks from ISIS militants. Shots of Times Square, taxis in NYC, and stores in Midtown are interspersed with footage of "what appeared to be a man preparing an explosive device and strapping it to himself." However, the video never shows an ISIS militant or suicide bomber actually in New York. Subway systems played the usual statement "If you see something, say something," and CBS New York reported that law enforcement has been receiving more calls about suspicious packages and behaviors, as New Yorkers have a heightened sense of fear in the wake of the Paris attacks.